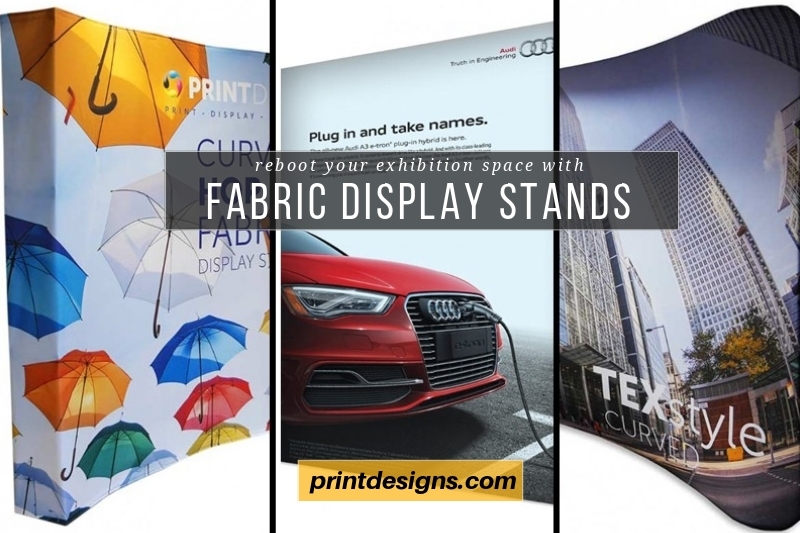 Following on from the previous deep dives into ideas for Shell Scheme graphics plus the previous post on how to make the most with an exhibition floor space, now we’re turning the spotlight to fabric exhibition stands. Here at Printdesigns, we adopted dye sublimation technology early on in the technology’s life. I could see the huge benefits in soft materials that don’t crease, can be easily transported and also creates super vibrant images whilst still staying cost-effective. There is still a place in the exhibition hall for rigid boards and polyester panel clad pop up stands, but with the innovation in fabrics coupled with the frame designs available, I can see them really being the defacto go-to product for exhibitors who want to stand out from the bustling crowd. 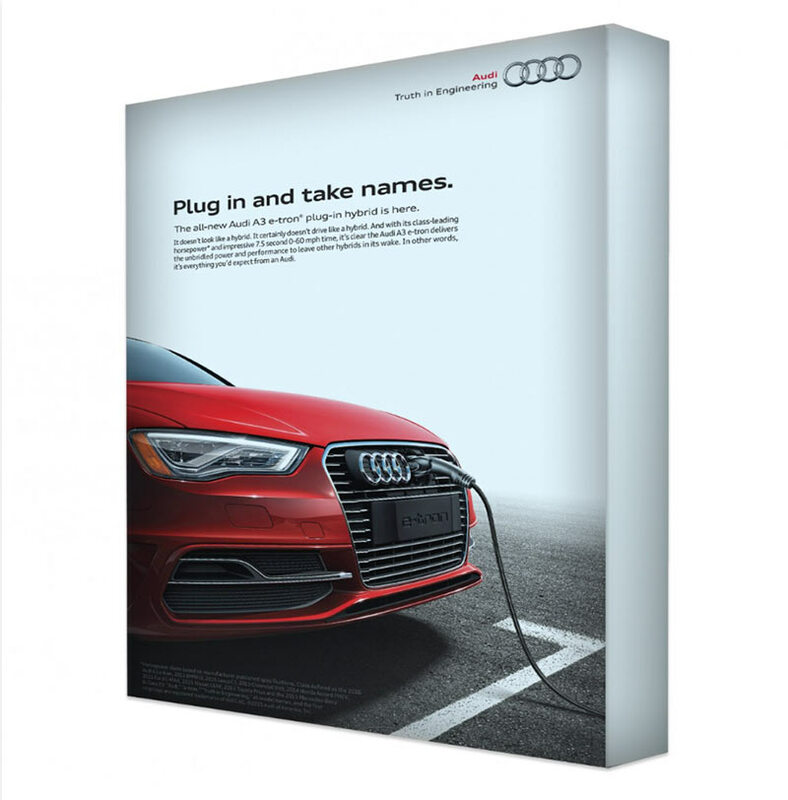 Lightweight – so easy to transport around and even pop the graphics in the post to a colleague within the UK or overseas. Easy to erect – pull the fabric around the frame, zip up and voila, job done. 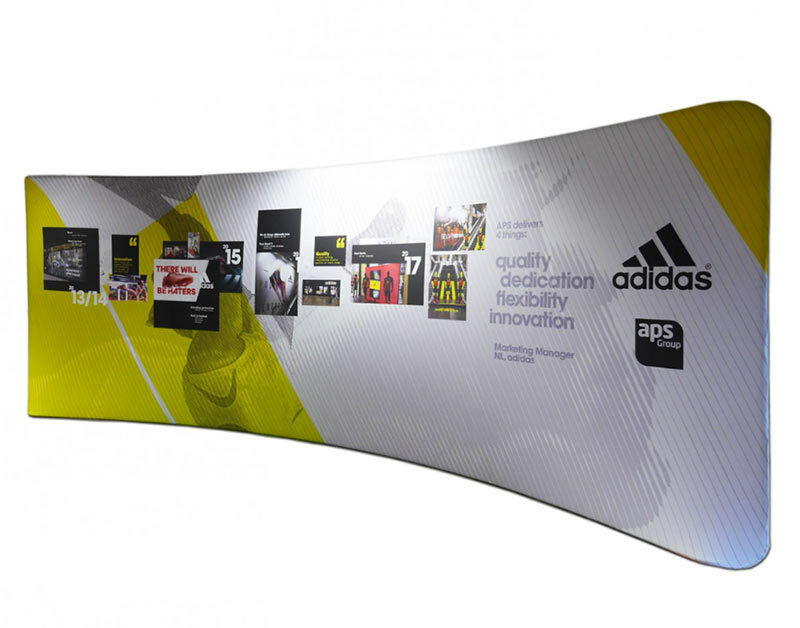 No joins or seams – unlike standard pop up panels, the fabric graphic will be produced in one piece. Machine washable – how about being able to pop your graphics in the wash if they become dirty? All our fabrics are not only printed here in Staffordshire but we also sew and fully finish in-house. No shipping your order elsewhere to be completed off-site. We check the quality all through the process and we can monitor your fabric exhibition stand all the way through production. Now, as I mentioned in a previous post, the exhibition hall is a busy place and it is make or break as to whether you stand out or slip into the sidelines. Using these innovative fabric frames will help push your brand and message to the fore and catch the attention of your target audience. 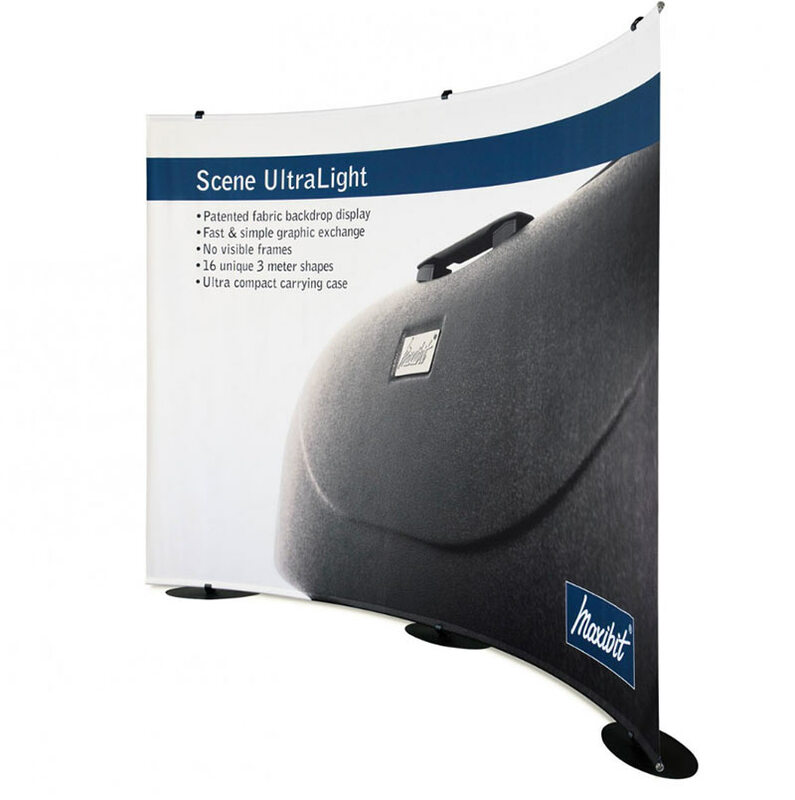 The first and simplest of our fabric options is the Impact Hop Up Display Stand. 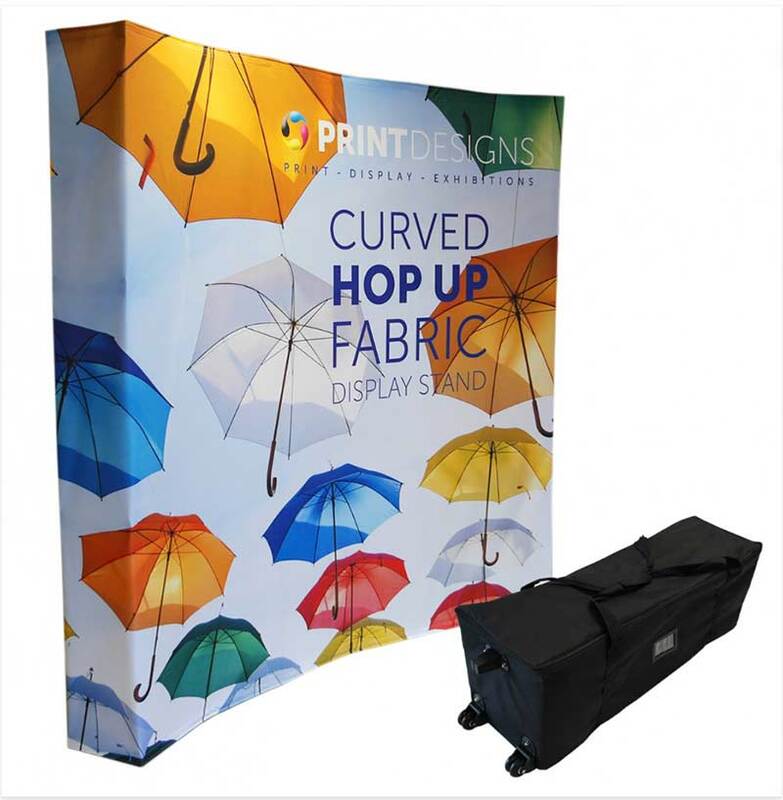 It works on the same premise as a panel clad pop up stand however this one uses a single piece of fabric to showcase your graphic. Instead of having to line up three or so strips using magnetics on the back of the panels, the Impact Hop Up utilises velcro on it’s one single section. Incredibly portable and complete with a wheeled trolley bag that fits both panels and frame, the Impact Hop Up can be assembled and disassembled in a matter of minutes. The Impact Hop Up Stand or its curved alternative can be found here and here. Next up is the Embrace SEG Pop Up Stand. Similar in concept to the Hop Up, this one incorporates a silicone beading that is attached to the fabric and fed into the frame. The silicone bead is used instead of the velcro and allows for greater tension to be applied to the face graphic. In simple terms, it means your message will stay smoother and flatter against the frame. Its also worth mentioning here that we use a blockout material for our fabric exhibition stands. Even when there is strong light behind your display, you won’t have any distracting frame show-through. For more information on the Embrace SEG stand, click here. The big difference between the Impact or Embrace above and one of our Texstyle or Formulate range is down to the way the graphic is fitted to the frame. 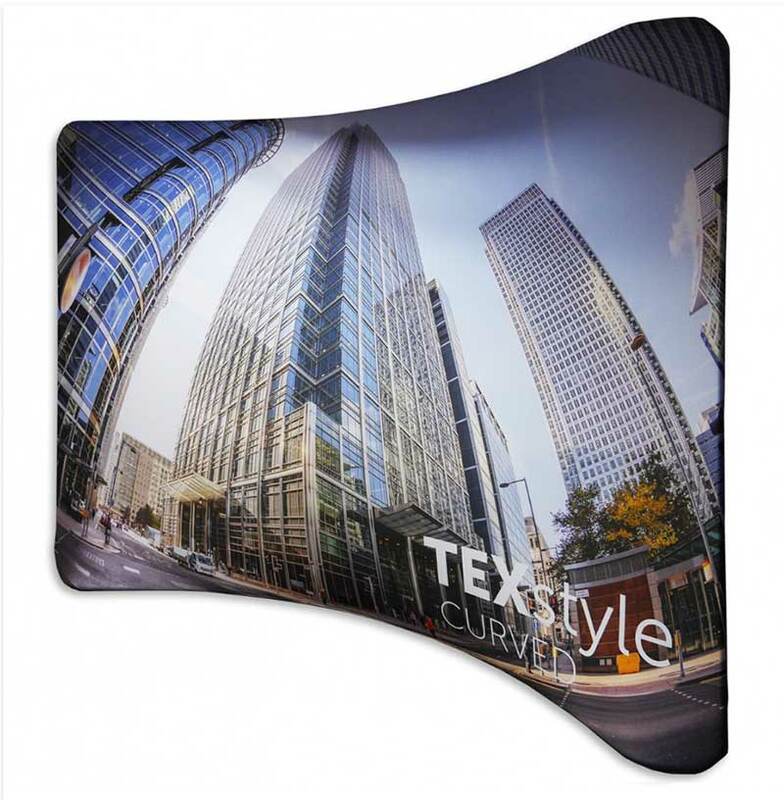 Instead of silicone beading or velcro, the fabric graphic panel used for the Texstyle has been sewn as a sleeve. Made in a stretchy polyester, it is simply pulled around the frame and zipped up. Super quick to assemble, incredibly lightweight yet brilliantly effective. 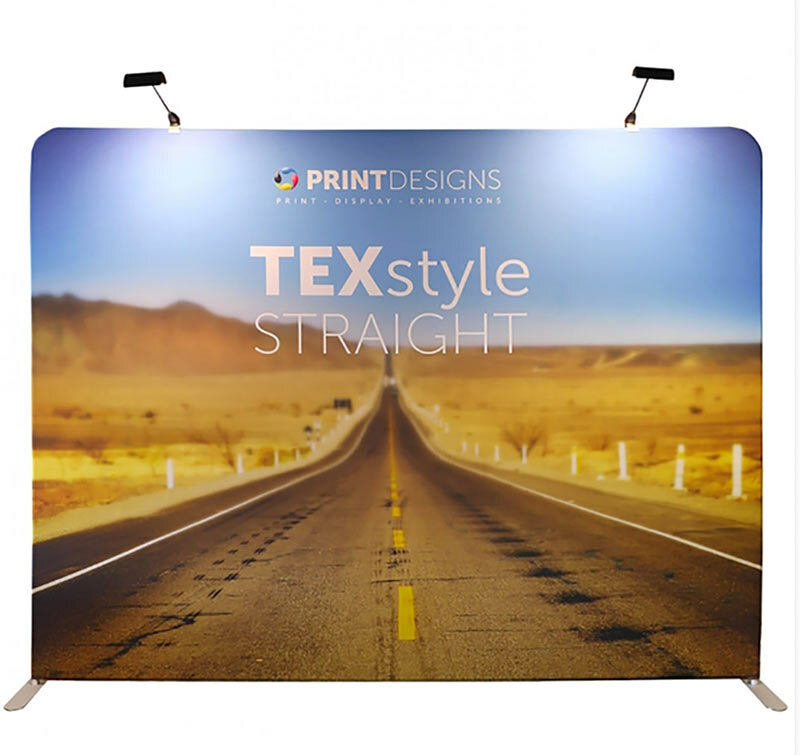 If you’ve been looking for something different in exhibition stands, the Texstyle range could be exactly what you’ve been searching for. We can add in lights, literature holders, brackets for flat screen TVs, even iPad stands. It’s an impressive and adaptable display stand that also looks incredibly stylish. To find out more on both the Formulate and Texstyle ranges, click here. If a 2.4m or 3m wide just hasn’t got quite the imposing size your brand requires, we’ve got options at up to 6m across. These colossal fabric backdrops are so much easier to assemble than magnetic panel alternatives. As with the smaller versions, we still produce as one complete sleeve that is simply pulled over the frame and zipped up. 5 to 10 minutes to erect and just the same when taking down. Plus, when it comes to transporting around, who would believe a 6m wide fabric exhibition stand could be packed up and carried by hand? Click on the links for info on the 6m versions of both Formulate and Texstyle. A stand that’s a little different is the Scene Ultralight from Sweden. It’s a free standing back wall that excels where ultra lightweight and portability are the highest priorities. The Scene Ultralight uses vertical telescopic poles across the width that are joined together by two horizontal curved poles. Now the clever twist is in these two curved poles. They can be combined into 12 different ‘shape’ variations. Once you’ve decided on the shape, slide the top and bottom bars into the two channels of the fabric graphic. The top pole is then fitted to the fixings in the vertical poles. The poles are then lifted to create the tension on the fabric and the lightweight scheme can be adapted to create the desired look. Perfect for a unique back wall, check the video on our product page here. I’ll cover some of the other fabric add-ons and unique systems we create here at Prindesigns next. From the eye catching Drum Fabric Display to the Arch and Meeting Pod, I’ll be back with ideas and inspiration for making the most of your exhibition space. We go the extra mile to create innovate exhibition display but don’t just take our word for it – look through our reviews and see what our happy customers think. And, if you are local to Staffordshire, our on-site showroom is available. Pop in for a coffee and look around our range of pop ups. Send us a message through our Facebook page or direct on email to sales@printdesigns.com to let us know you’re coming over. PS – if you missed the previous articles on exhibition displays and pop ups, catch up with our guide to making the most with Shell Scheme graphics, and our look at exhibition floor space options. « The New Revolution In Roller Banners?